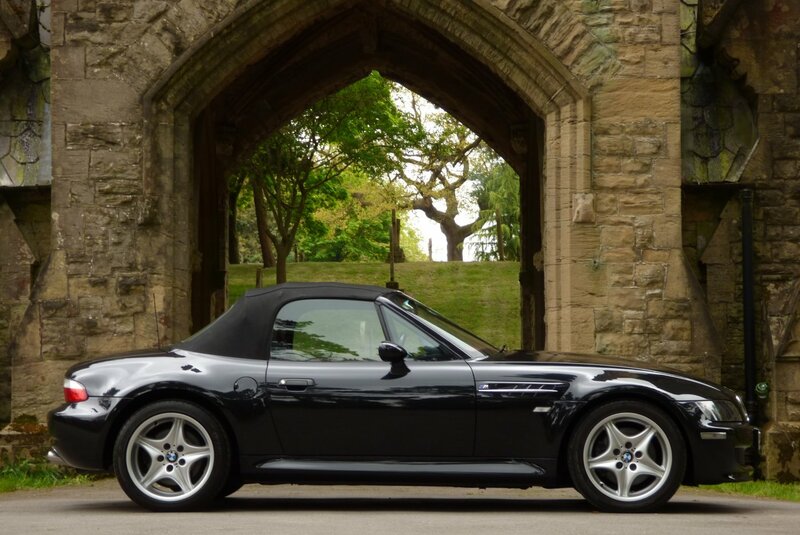 The M Convertible Was Manufactured Between 1998 To 2002 And Was Developed Under The Leadership Of Engineer Burkhard Göschel, With The Exterior Designed By Joji Nagashima Of The BMW Design Team. 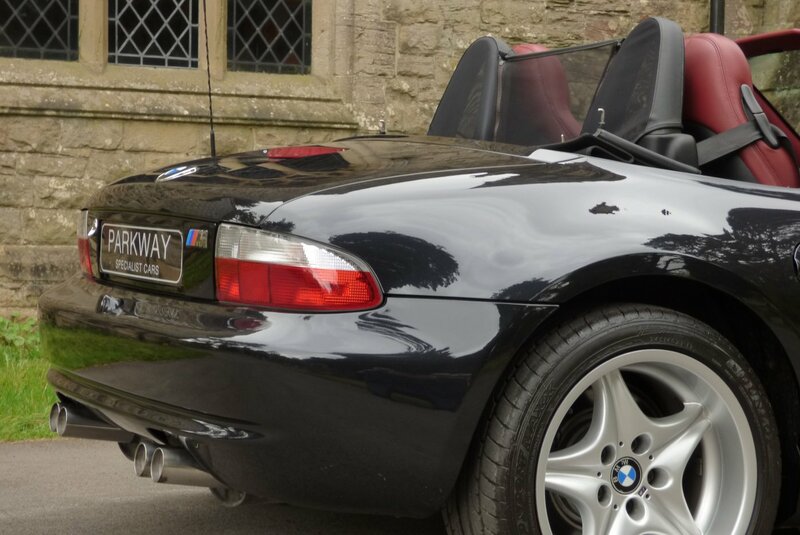 The Idea From The M Division, Was To Offer An Incredible Two Seat Convertible, Teamed With The Monstrous M Powered Engine. 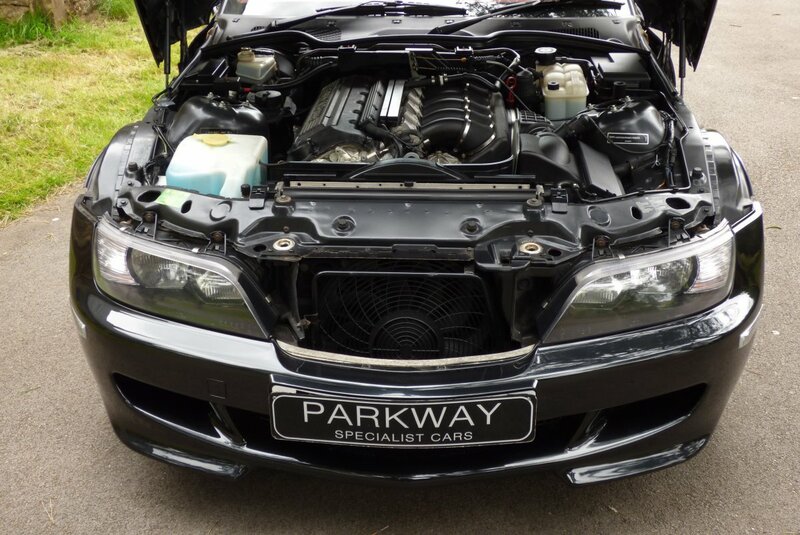 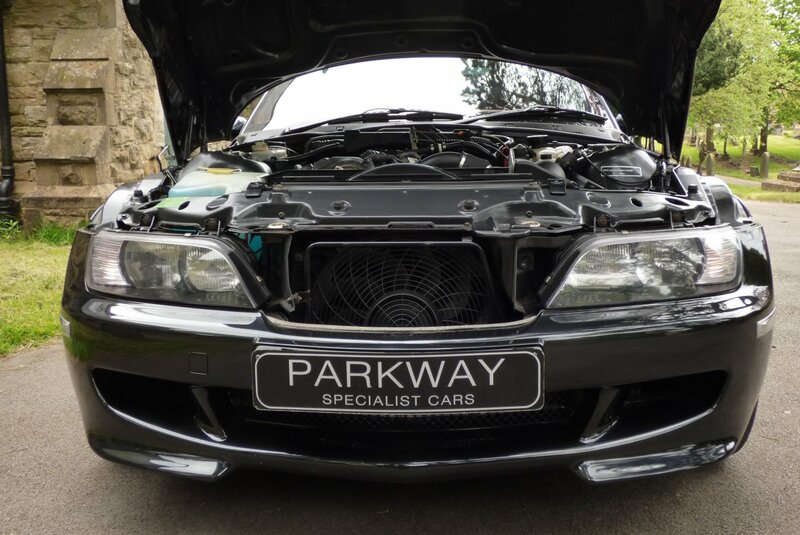 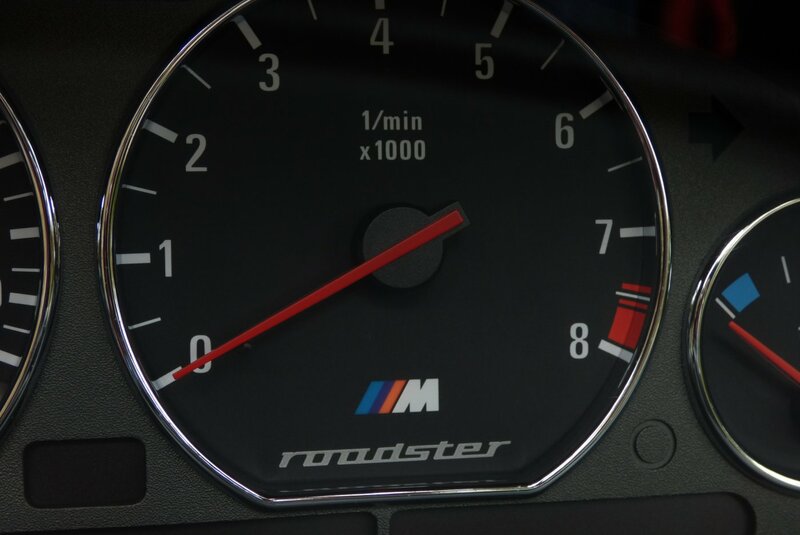 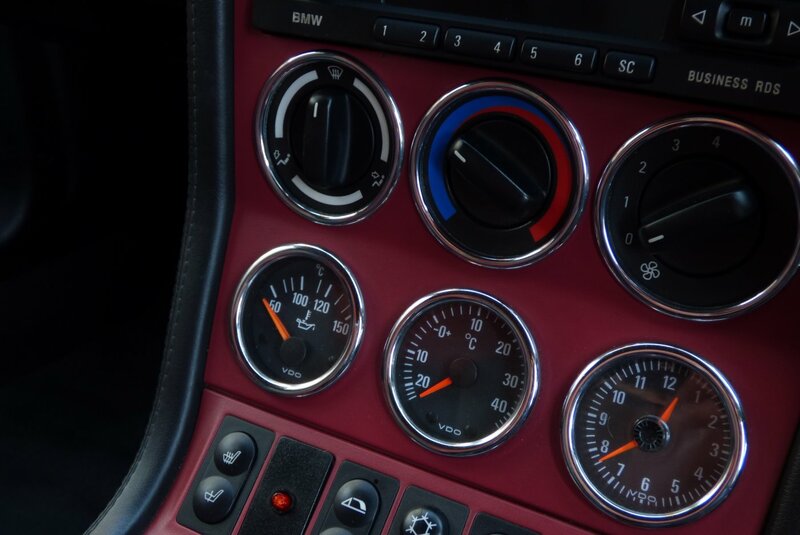 This 3.2 Engine Offered A Staggering Top End Of 155 MHP, With An Impressive 0-60 In Just Over Five Seconds, Meaning That This Was Truly A Very Quick And Respectable M Car. 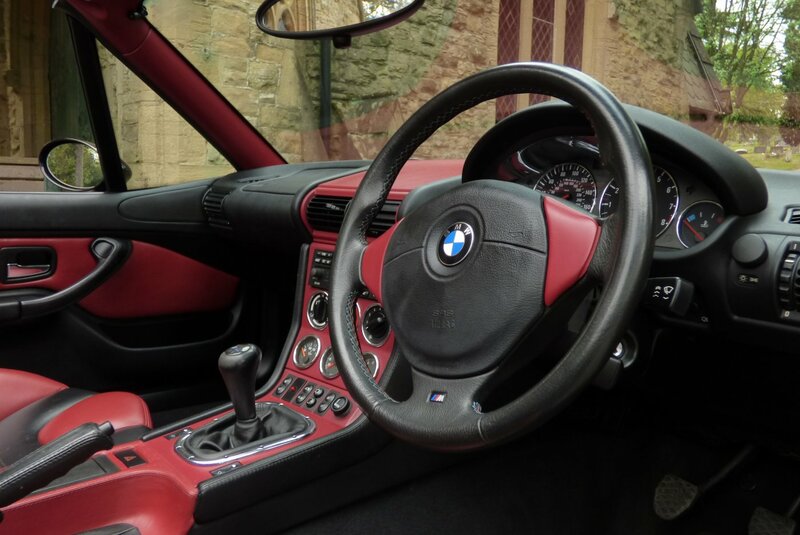 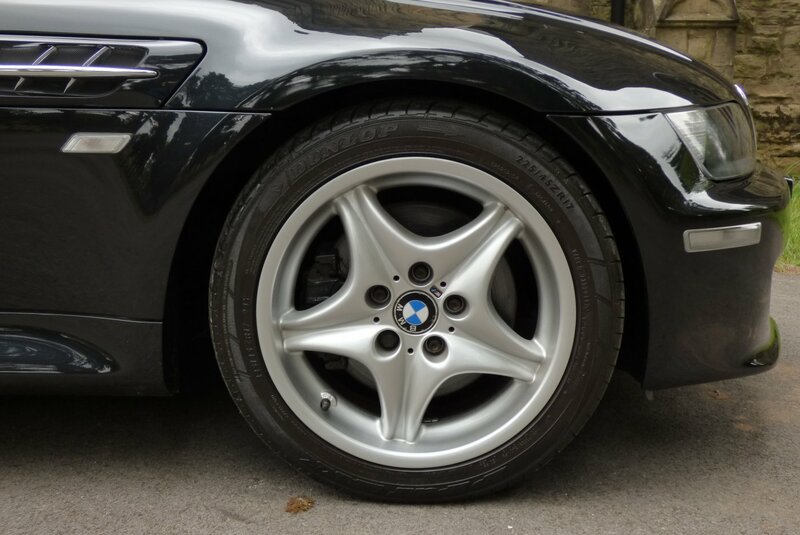 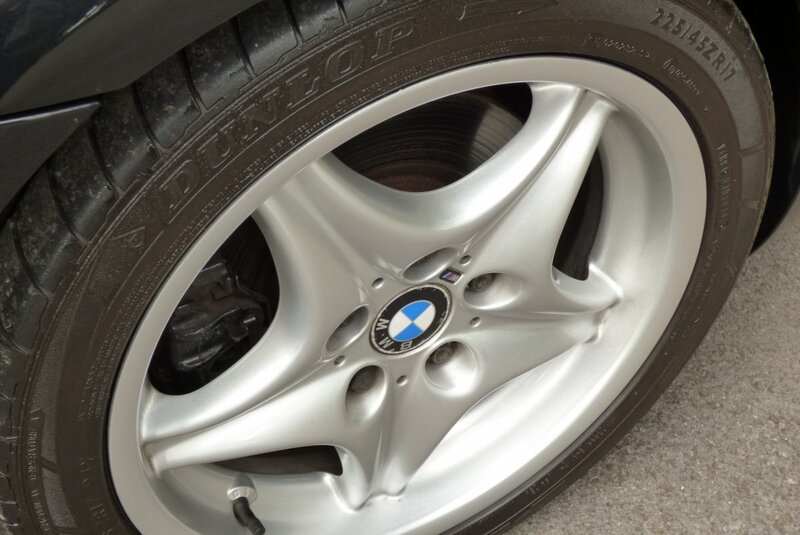 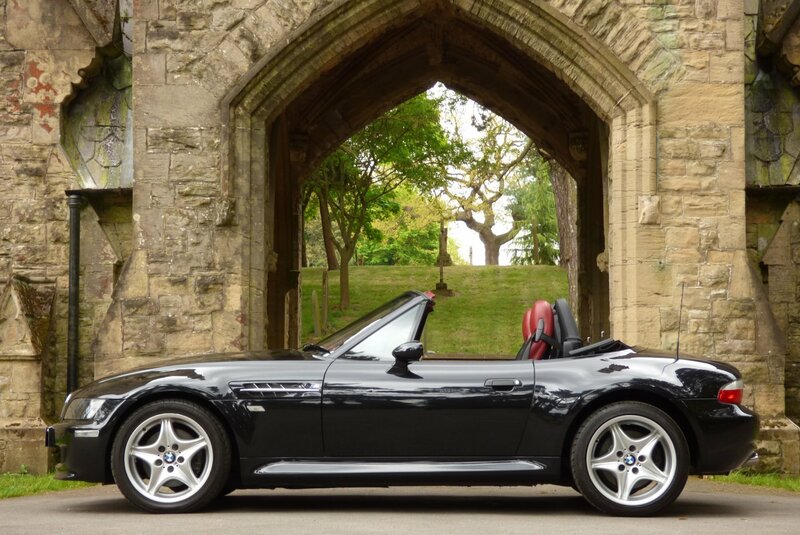 Both The Z3M Coupe And BMW Z3m Convertible Models Have Now Entered Into The Modern Day Classic Status, With The Coupe Versions Being Slightly More Desirable, However The Convertible Examples Do Not Have The Same Initial Higher Values. 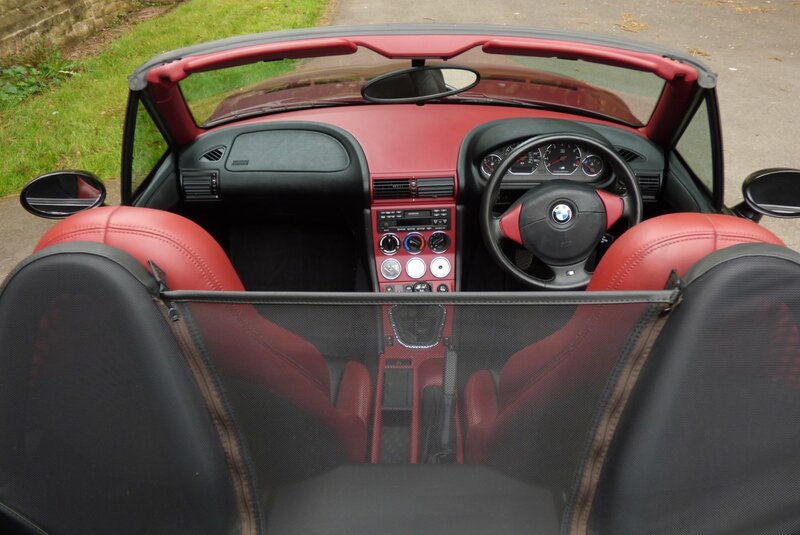 This All Now Means That The Convertible Vehicles Are Slighter Easier To Acquire, Without Compromising On The Tremendous Fun On Offer. 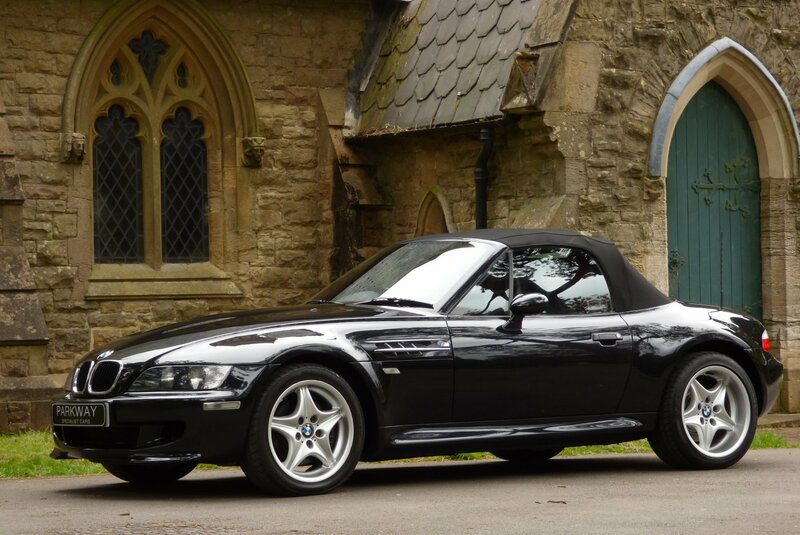 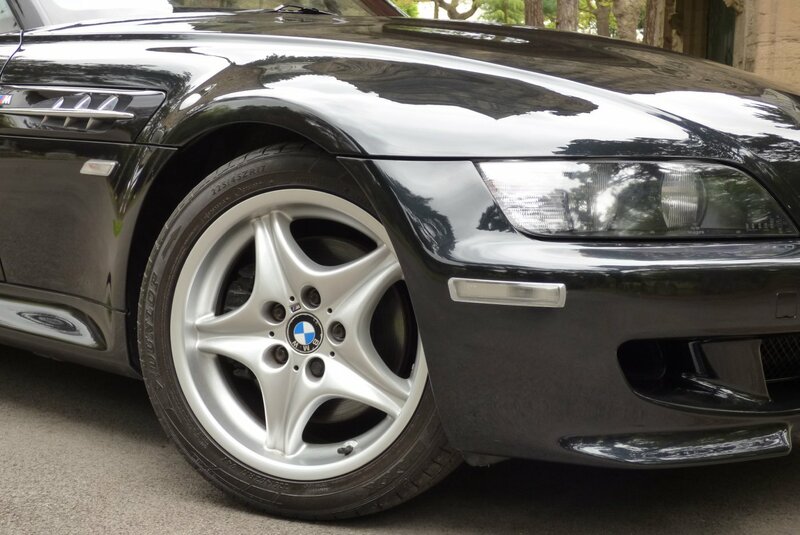 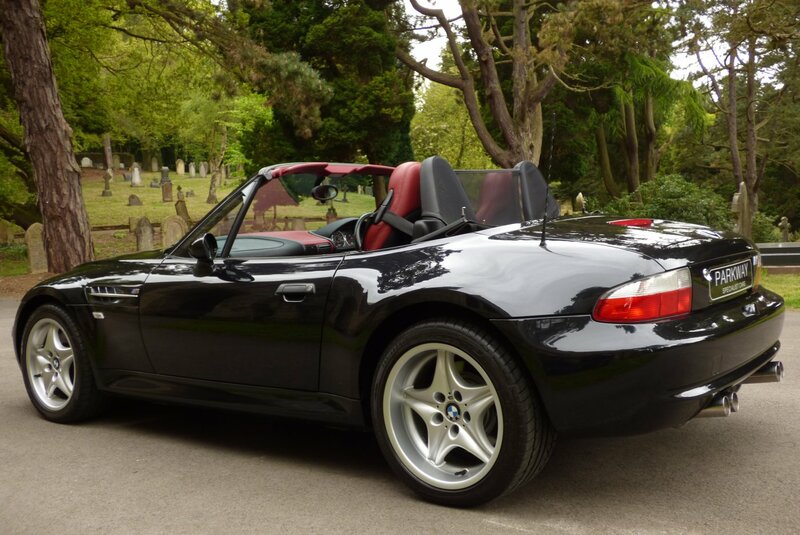 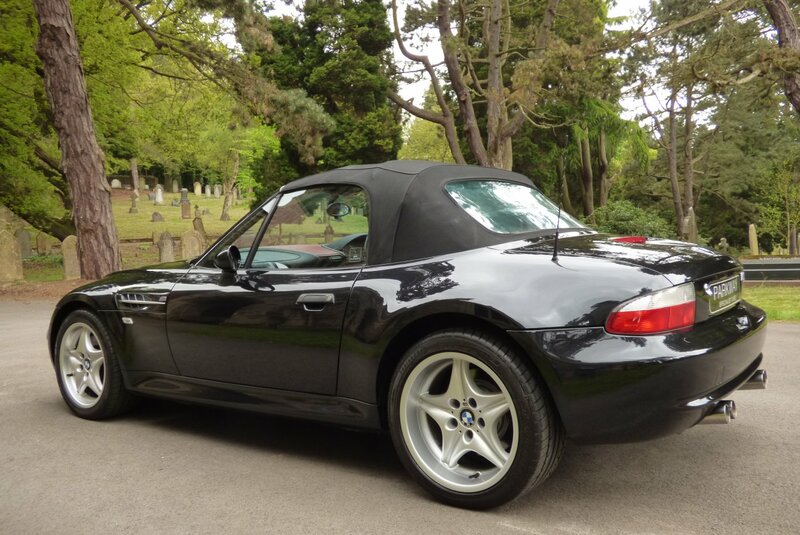 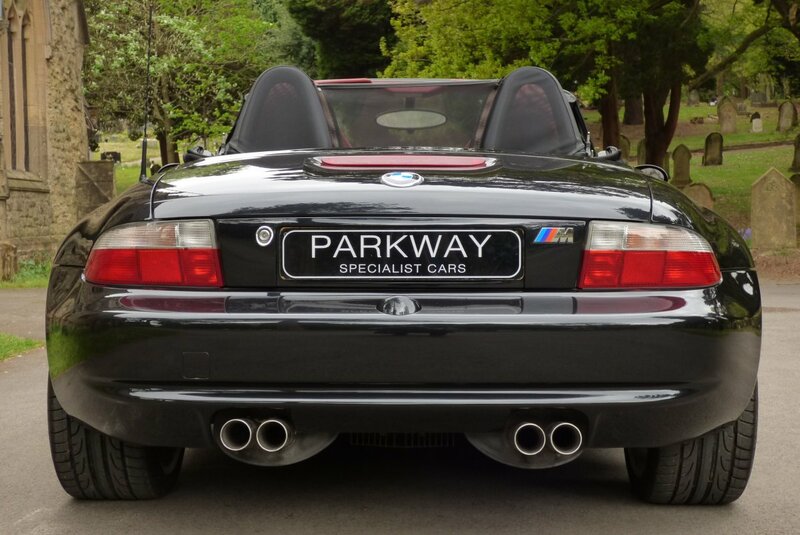 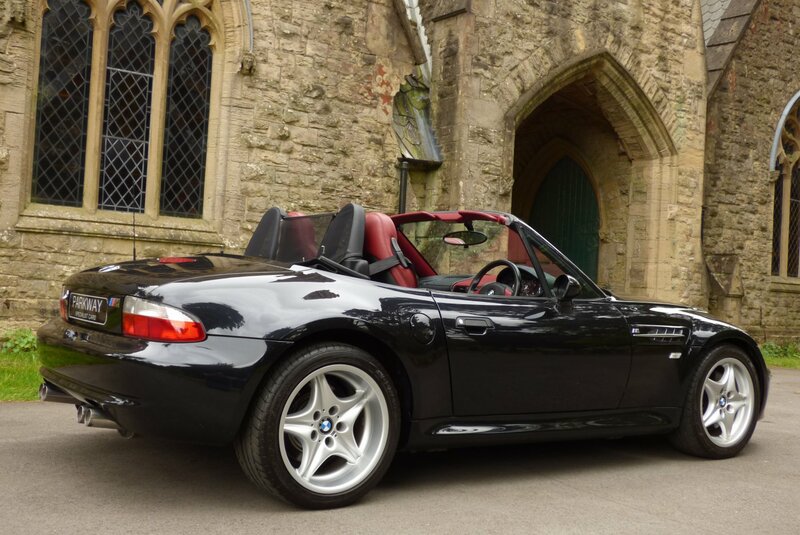 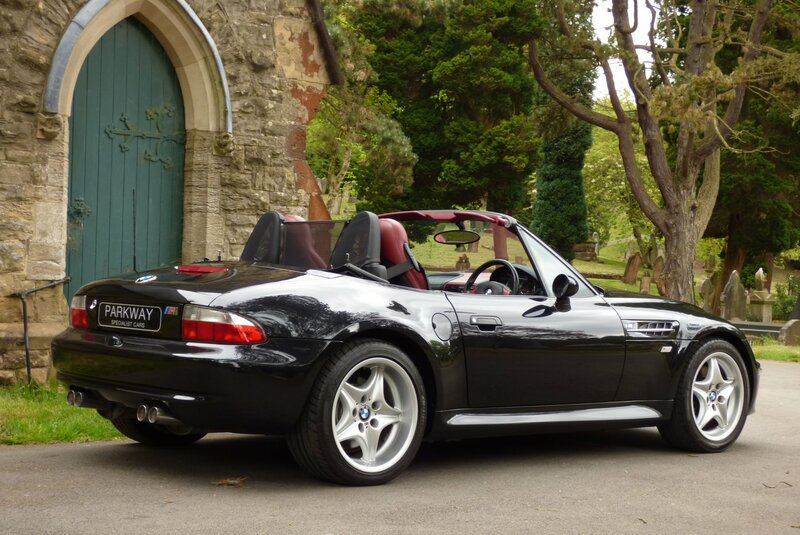 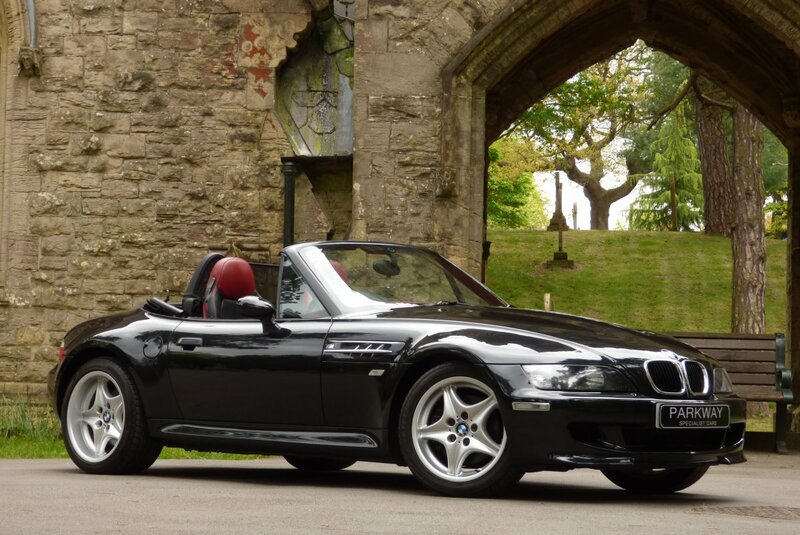 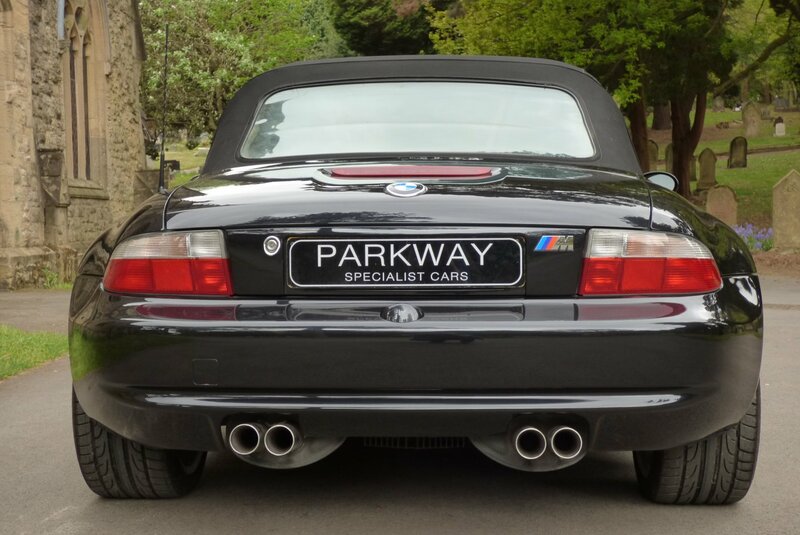 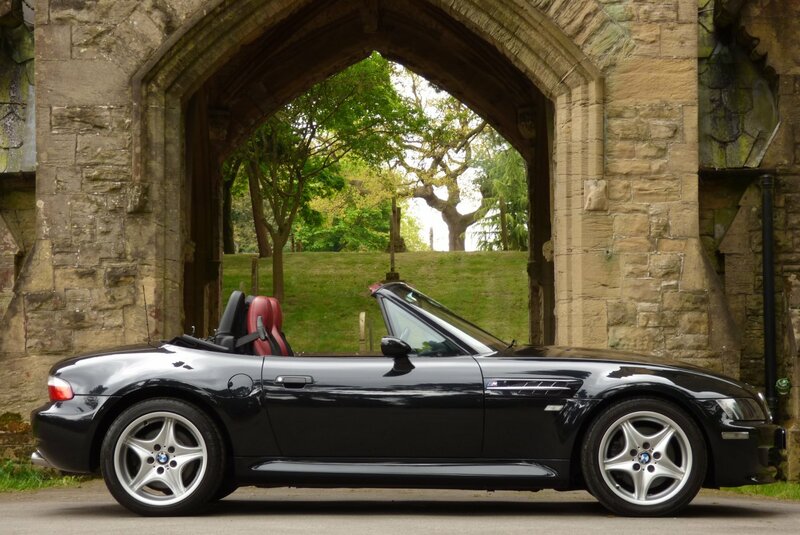 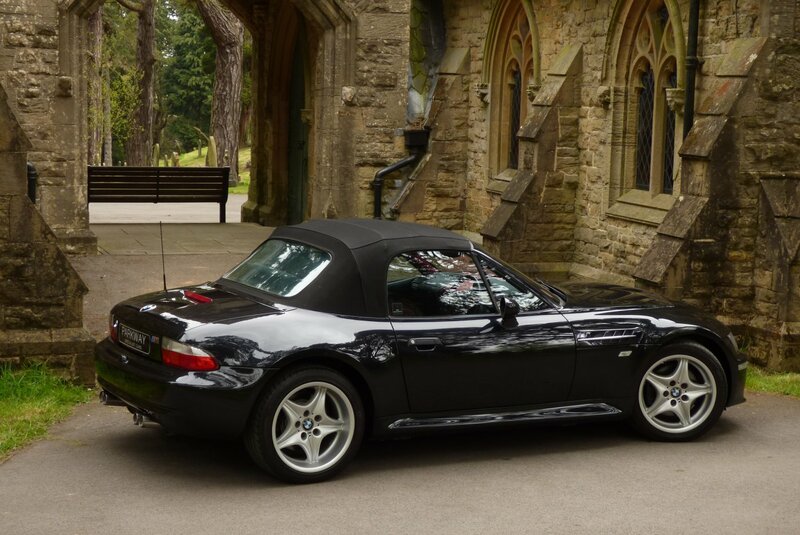 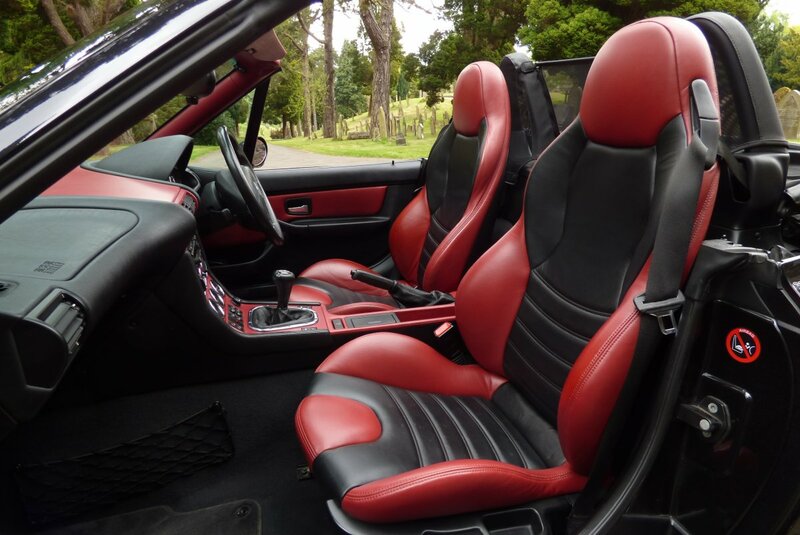 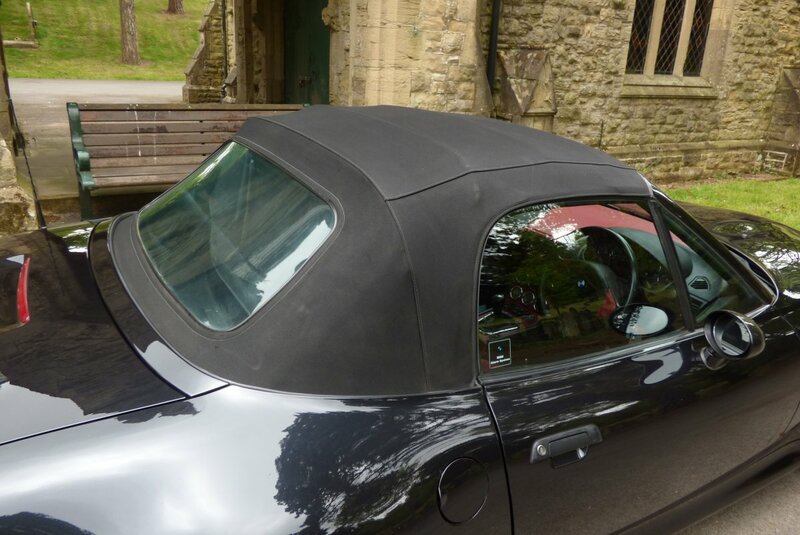 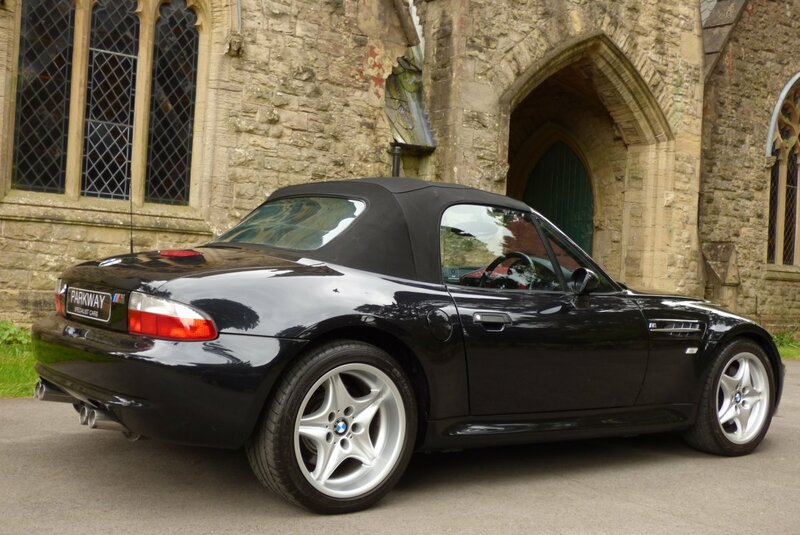 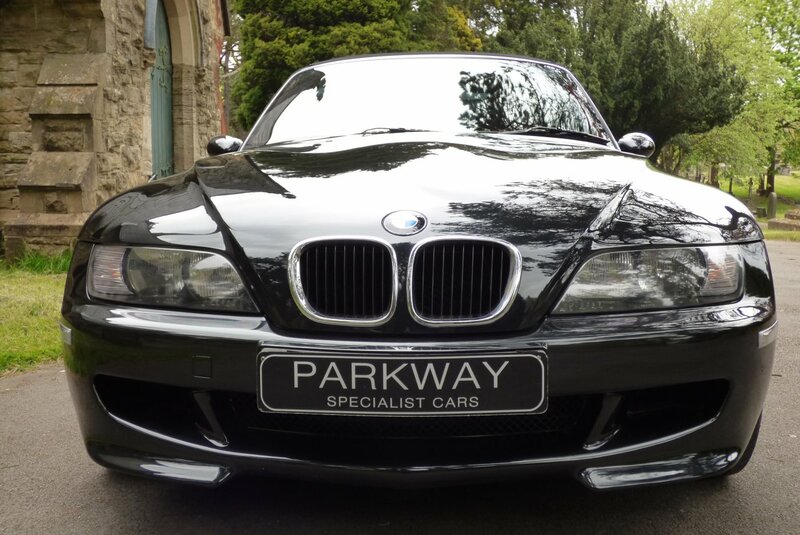 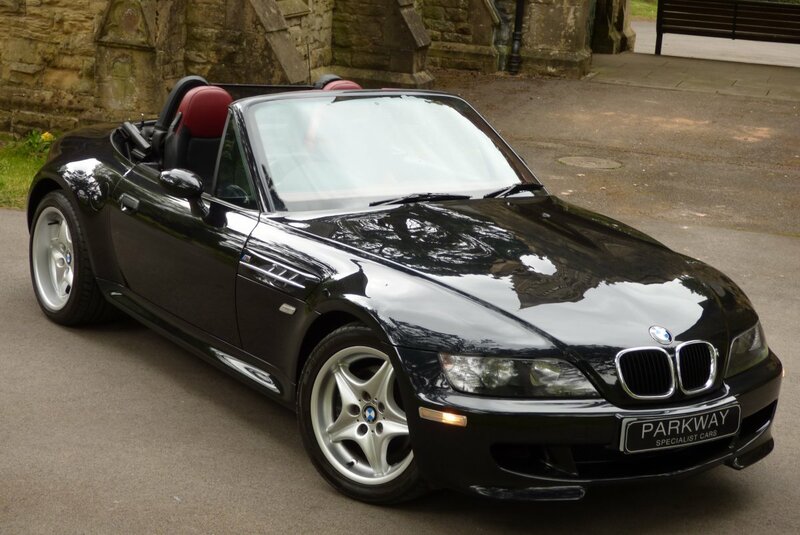 Being Now A Collectable Car, The Z3m Convertible Has Climbed Nicely On Values Over The Last Few Years, With The Future Growth Of An Initial Investment Being Highly Attractive To The Next Breed Of Avid Enthusiasts. 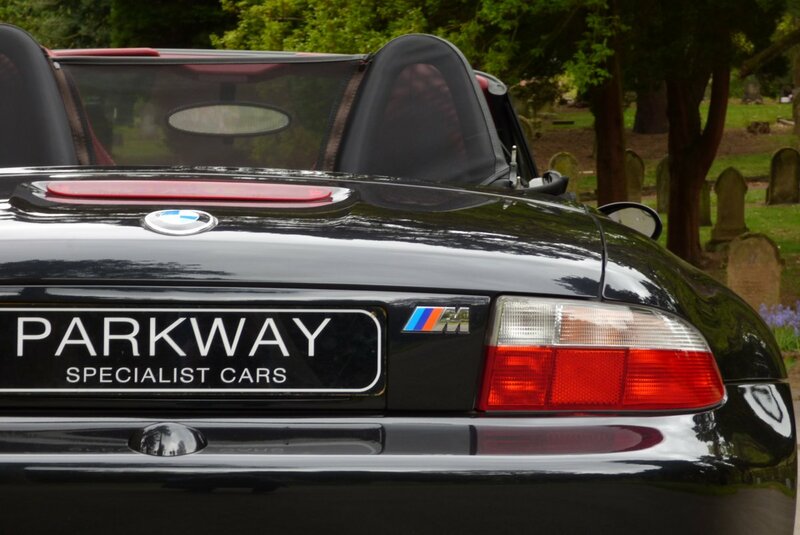 This Cherished Example Also Boasts A Healthy Past Historical Service File With Visits Logged At 1382, 8988, 25575, 31789, 34565, 35809 & 35986 Miles, With The Last Being The Inspection 2 Service. 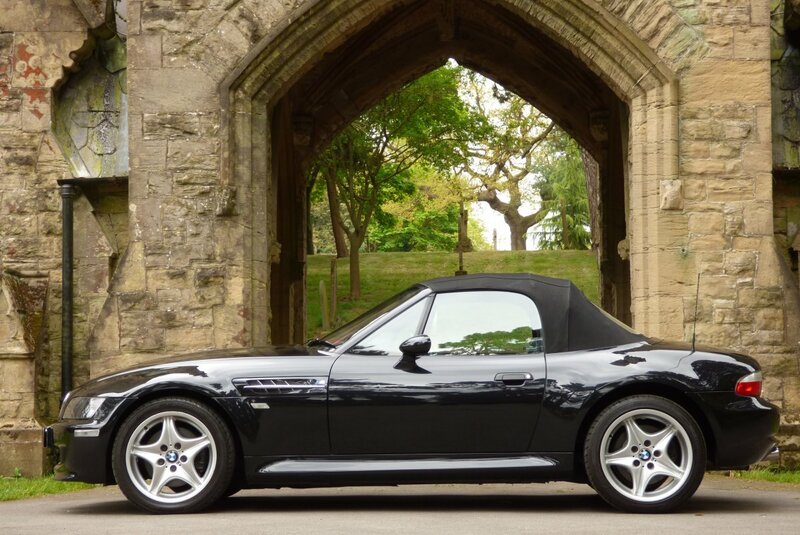 Between September 1996 To The June Of 2000, Only 918 Examples Worldwide Had Been Offered From The Factory, So For Cars With Exceptional Low Mileage And Perfect Vehicle Provenance, This Car Really Is Set To Become A Cult Classic. 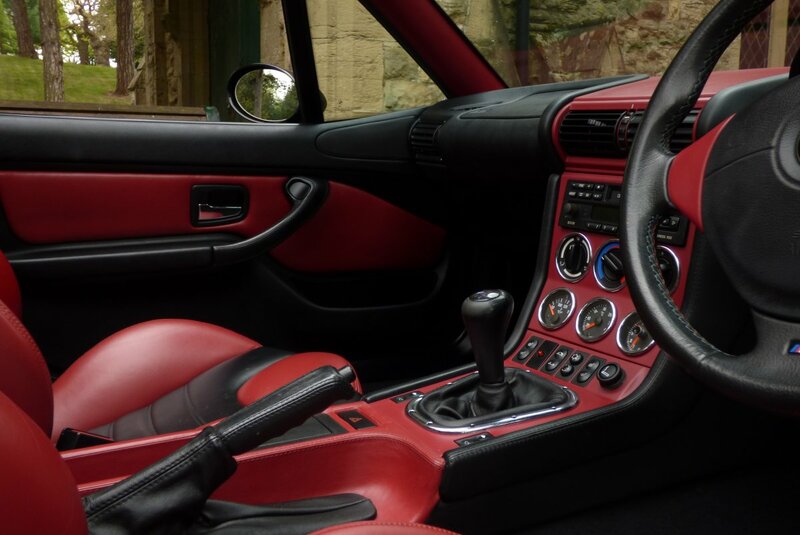 The Embodiment Of Extreme Power And Design. 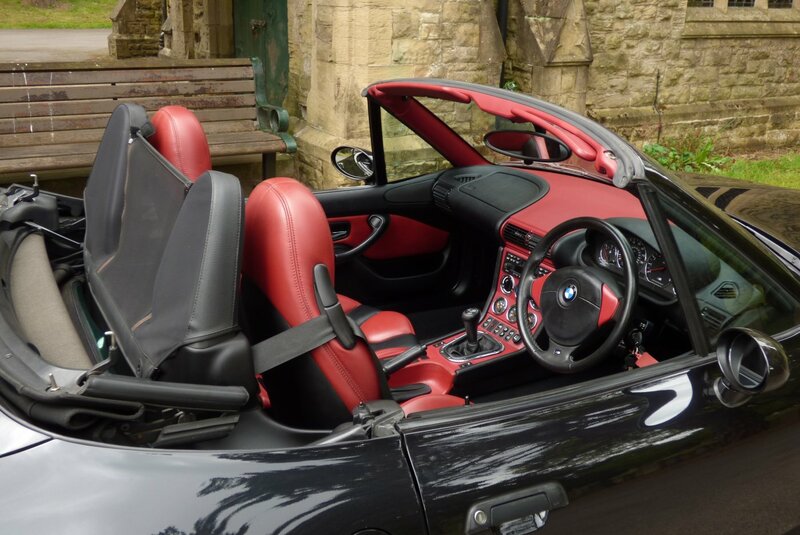 Inside The M Convertible, This Two Seater Sports Cars Offered Ample Space With The Perfectly Positioned Seats Guaranteeing The Direct Feel Of The Car, Responding Quickly And Precisely. 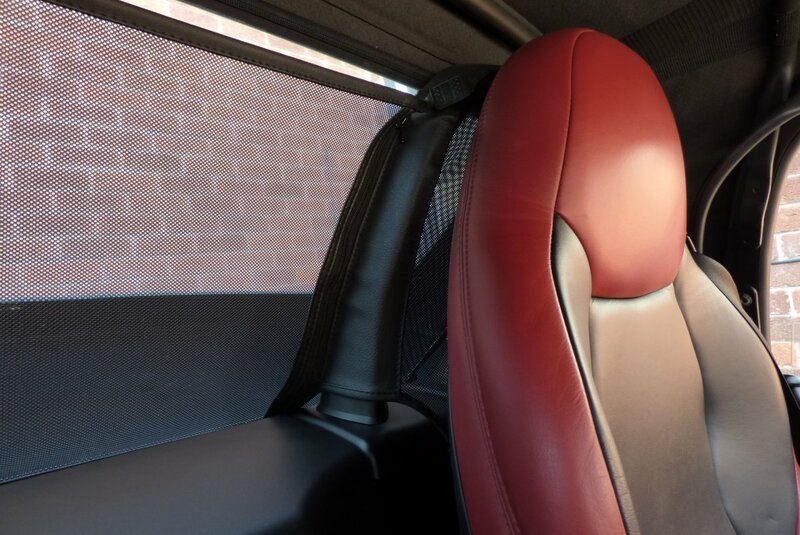 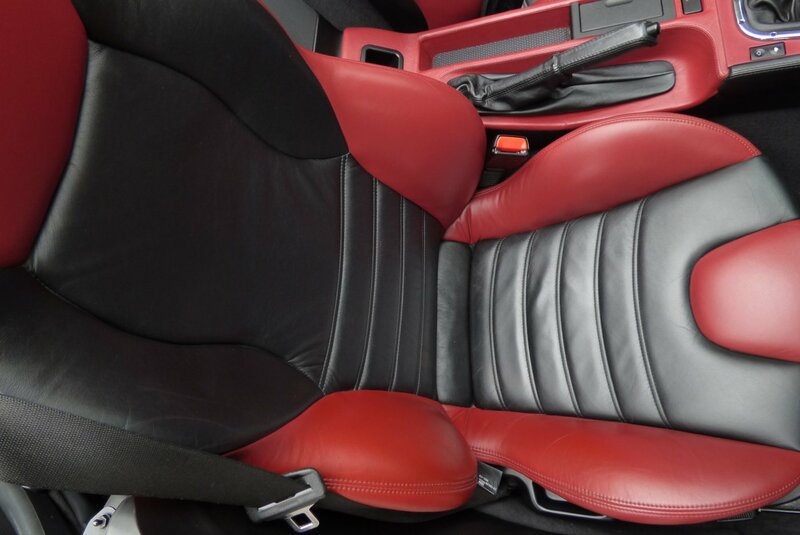 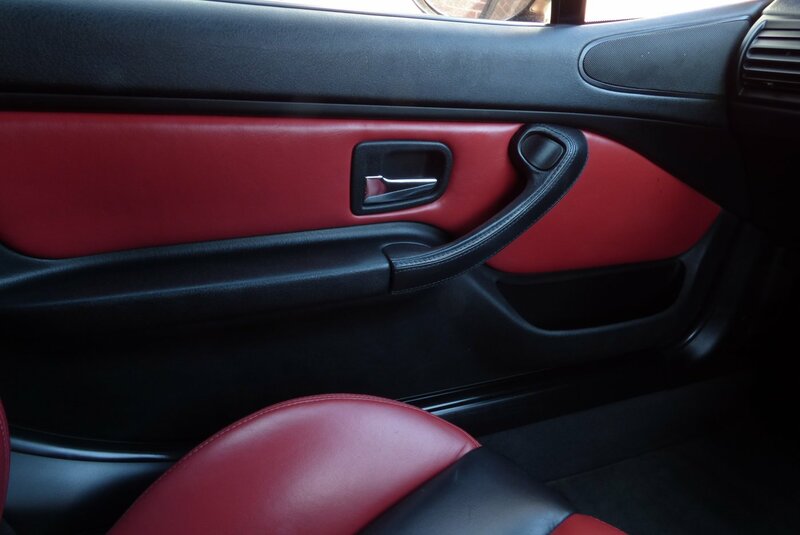 The Cabin Is Presented In Stunning Condition With The Leather Seating Finished In Two Tone Imola Red And Black Nappa, Detailed With Contrast Imola Red Twin Needle Stitch Detail. 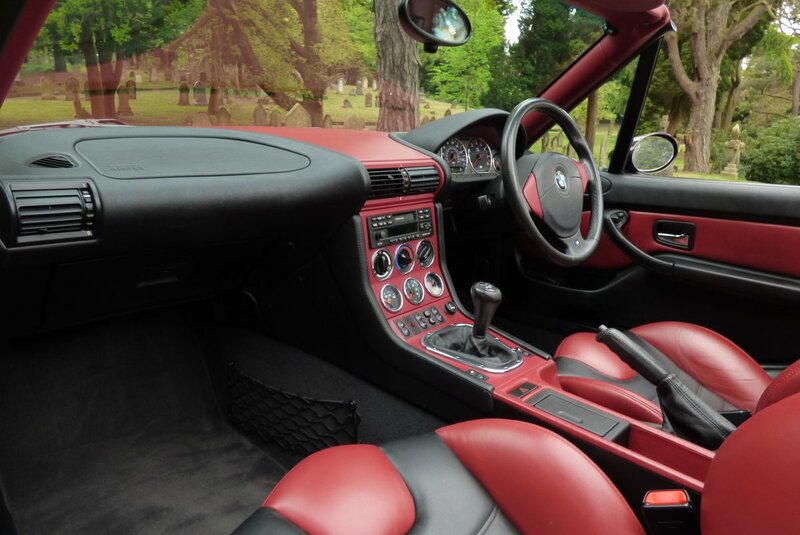 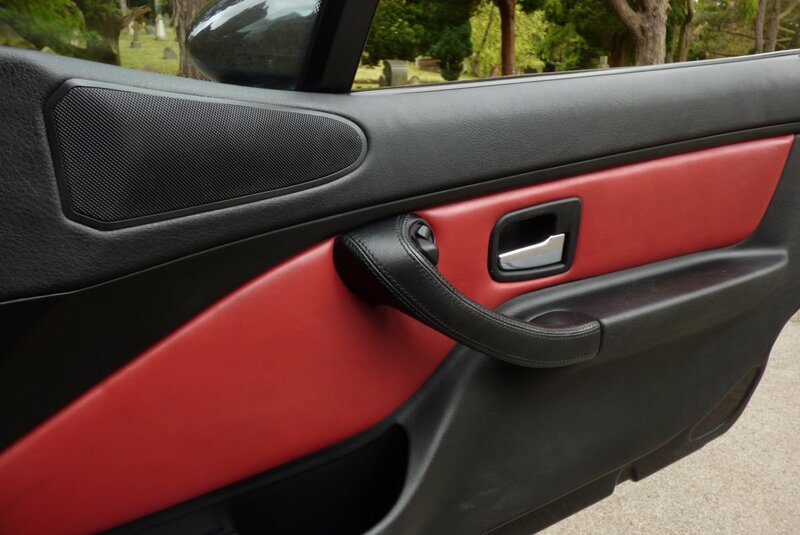 The Dash Is A Mix Of Imola Red And Black Nappa Which Wraps Around The Total Snug Cabin Space And Is Beautifully Offered With Two Tone Leather Door Cards And Stylish Chromed Trims, Creating The Classic Sports Car Feel. 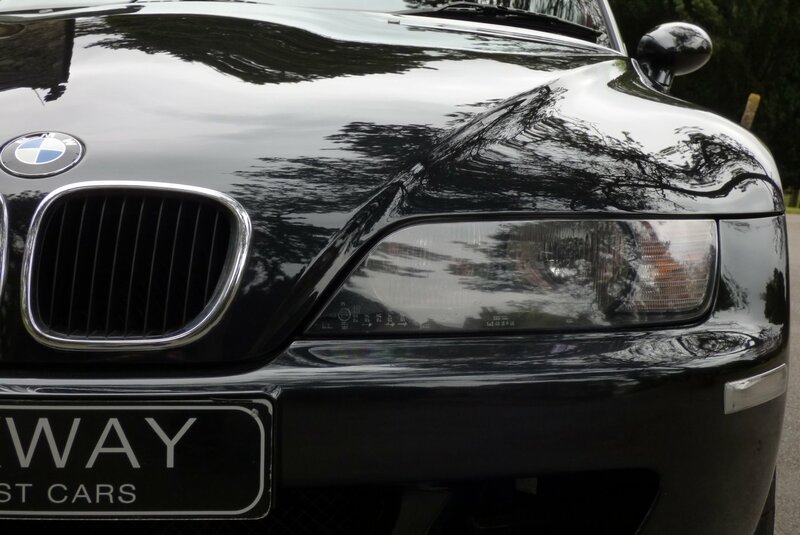 The Sculptured Body In This Aggressive Form, Is Shown Off Spectacularly Well In The Cosmos Black Metallic Body Colour, Allowing All Prominent Features To Stand Proud. 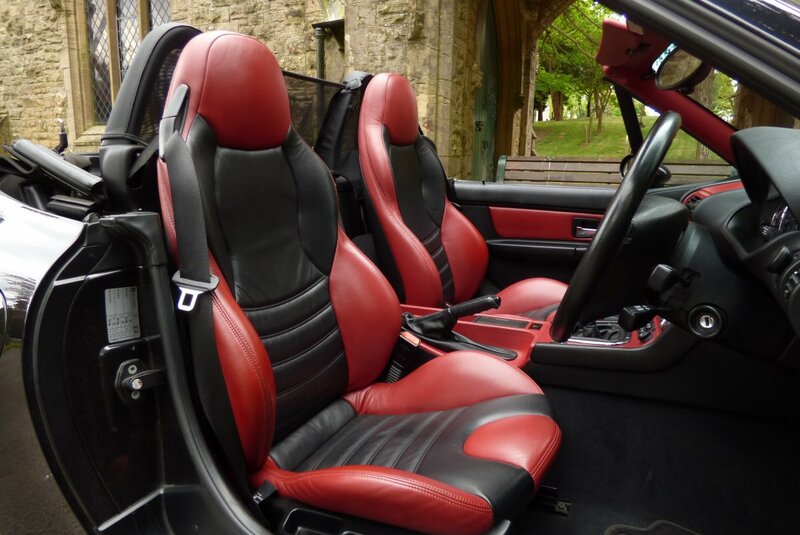 This Stunning Classic Also Looks Fantastic With Or Without The Black Fabric Roof In Place, Allowing Every Driving Condition To Be Enjoyed By The Driver Or Passenger. 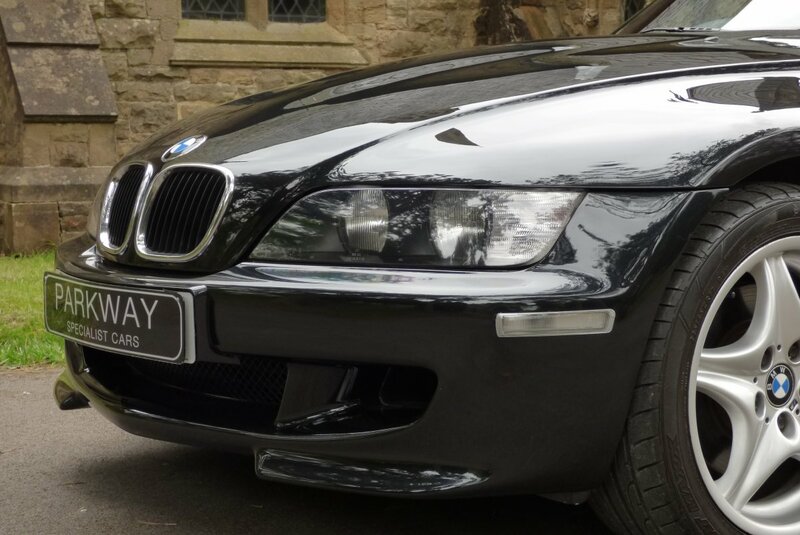 The Detailing Continues With The Signature Chromed Plated Side Vents, 17" Roadster Light Alloy Wheels, The Factory Front Bumper Air Scoops With Extra Large Intake Grid And Chromed Tipped M Quad Exhaust System. 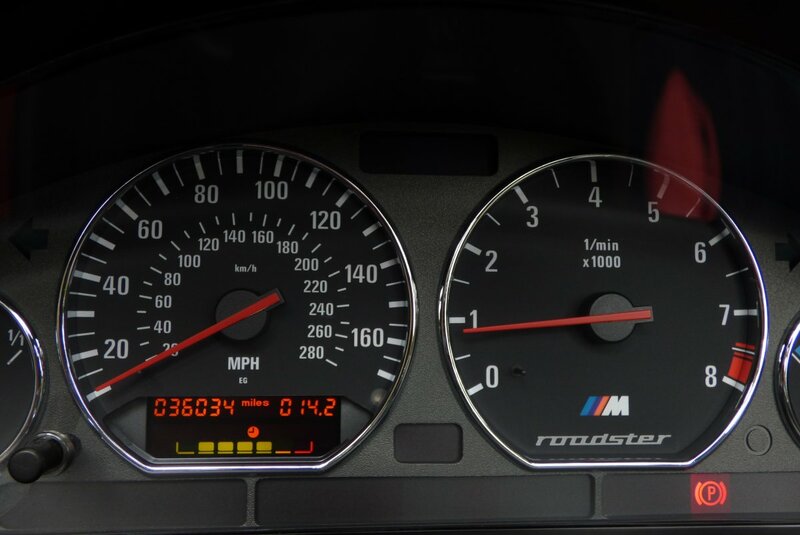 A Feast For The Senses. 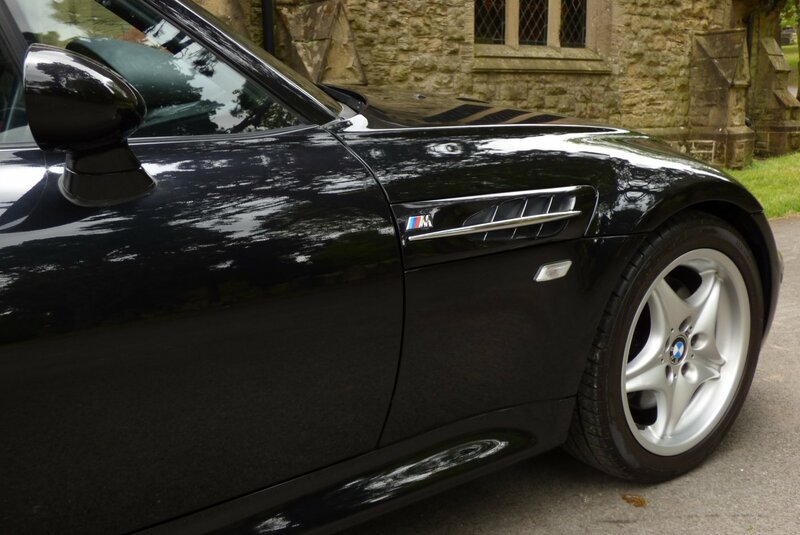 An Exhilarating Treat For The Soul. 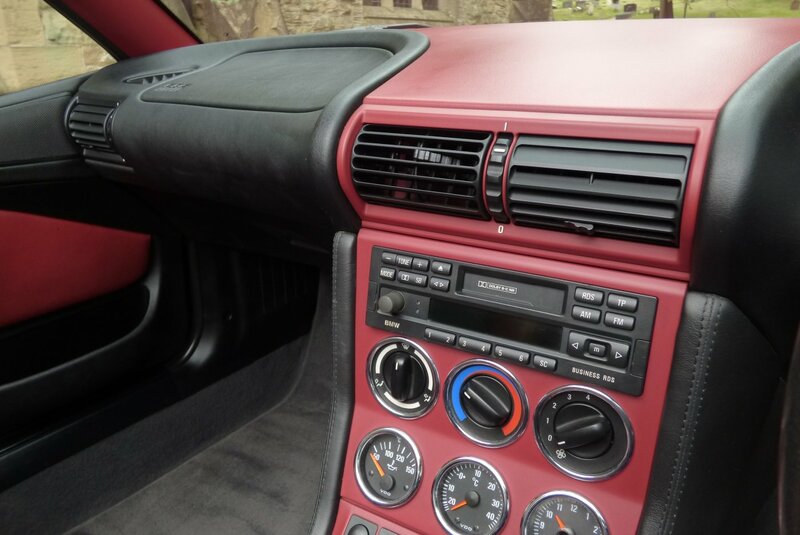 Excellent Factory Options From Build Include Air Conditioning, Black Fabric Electric Convertible Roof, Electric Front Seat Adjust, Two Tone Leather Bound Three Spoke Steering Wheel, Variable Heated Front Seats, Black Brake Calipers, Chromed Quad Exhaust System, Dolby Radio Head Unit With Multi Change CD System Housed In The Boot Area, Cruise Control, Remote Central Locking With Alarm, Embossed Interior Kick Plates, M Steel Pedal Set, Optional Exterior Chrome Handle Set, Electric Front Seating, Electric Windows & Mirrors, Unmarked 17" Five Star M Multi Spoke Alloy Wheels Which Are All Sat On Branded Tyres And So Much More.  This Car Also Has The Entire Booklet Packs To Include A Detailed Service Inventory With Service, Is Fully Hpi Cleared And Has A Complete Key Set For The Next Lucky Keeper To Cherish. 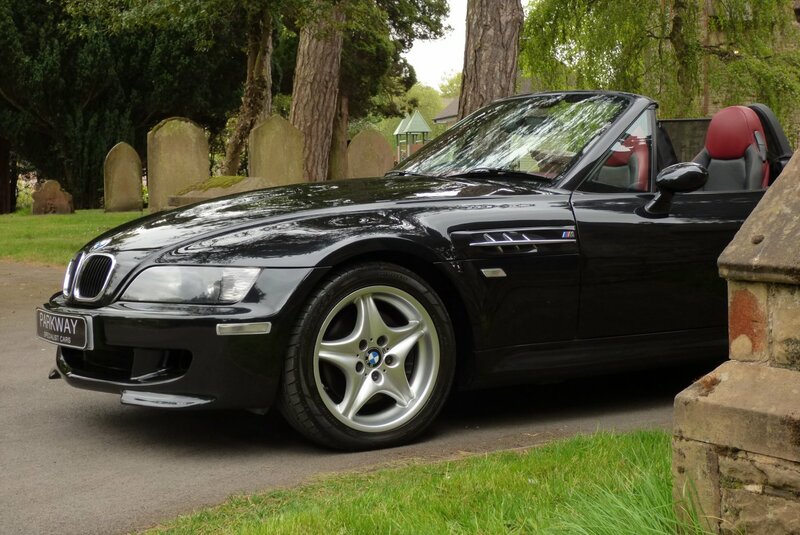 The Perfect Modern Day Classic M.